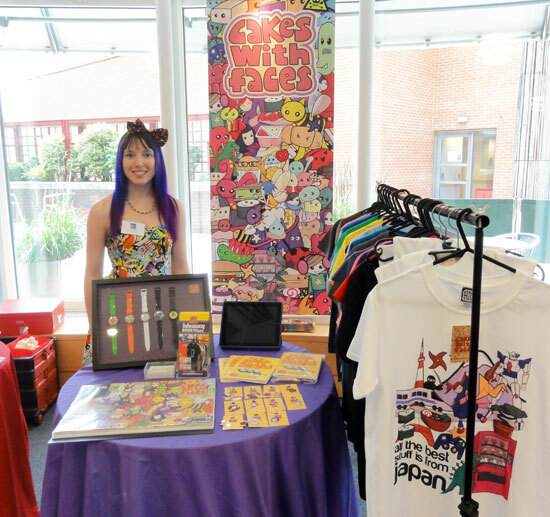 We were invited to exhibit at the launch of Small Business Saturday 2014 at the British Library in London. 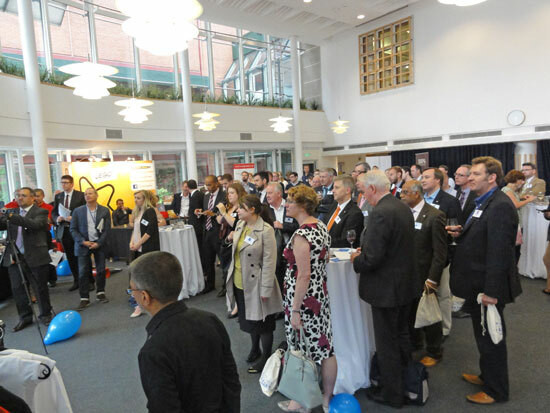 A handful of businesses from last year’s Small Business Saturday 100 were invited to represent the variety of small businesses in the UK at the launch event. Small Business Saturday is a campaign to encourage shoppers to support small businesses, with a focus on shopping locally on Saturday 6th December. Of course, you should support us all year round, but the Saturday is a day to celebrate the variety and character that small businesses have to offer. Last year Cakes with Faces was chosen as one of 100 small businesses that were featured, one per day, in the run up to Small Business Saturday itself. We were invited to a reception at Downing Street, where we showed our designs to George Osborne, Chancellor of the Exchequer. He said I was “the most colourful person who’s ever been at Downing Street”! Read our blog post about it here. 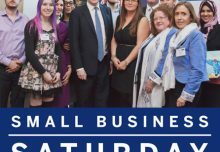 So now things are gearing up for Small Business Saturday 2014, and members of the press, along with people involved with small business and independent retailers associations, were invited to the British Library for the launch. 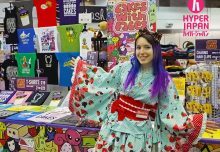 We set up a mini stand showcasing our t-shirts, watches and accessories, as well as our How to Make Sushi comic, which got some attention from the sushi fans. 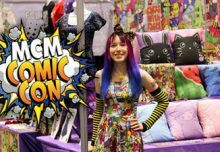 It was quite a change setting up a stand with only one of everything, instead of our usual events with boxes full of t-shirts! The other stands certainly did represent the variety of small businesses, with a chocolate company (who had delicious free samples – I wonder why they were invited…. ), a plus size wedding dress maker, a print house, Bongaboard balance boards (who I’d met at Downing Street) and a company making organic, gluten-free, sugar-free, everything-free brownies. I was particularly excited about Firestar Toys, who specialise in Lego bricks and minifigures, including custom figures – recently they made a bride and groom for a wedding cake! They gave me a minifigure phone charger holder – his tiny hands are perfect for holding a cable. Also of particular interest was Cinter, who brought along a Makerbot 3D printer, which I spent a good time drooling over. They gave me a tiny 3D printed robot – so cute! 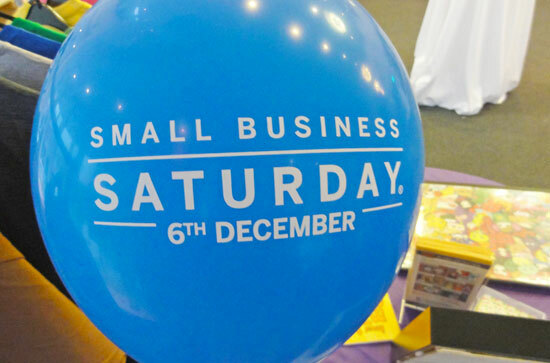 Post by Small Business Saturday UK. I met lots of interesting people, including the chief executive of the federation of meat traders – I didn’t mention I’m a vegetarian…. 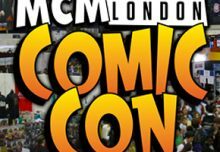 Chukka Umunna, Shadow Business Secretary and sushi fan, gave a talk and came by the stand, where I showed him our How to Make Sushi comic! Small businesses can’t survive without your support, and they offer specialist products and unique designs that larger chains might not invest in, as well as personal service from people who really care. We were happy to be involved with the launch and show our support for the day.